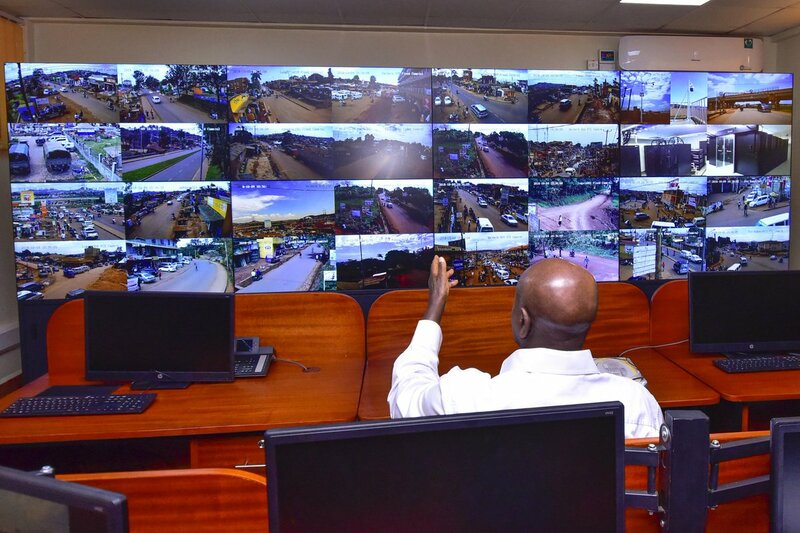 KAMPALA – President Yoweri Museveni on Tuesday commissioned the national CCTV camera command centre in Natete. This followed the cabinet’s recent approvals to borrow about Shs395 billion ($104 million) from Standard Chartered Bank Uganda Ltd. for a national closed-circuit television network amid a rise in urban crime. The money will be spent on designing and building a command and control centre and regional units, as well as developing data-recovery facilities. During the commission, Museveni vowed a crime crackdown on urban crimes after a former Buyende district commander Muhammed Kirumira was murdered in cold blood recently. Unknown assailants have in the previous months killed a number prominent figures including Muslim clerics, deputy public prosecutor Joan Kagezi, and top police officer Andrew Felix Kaweesi who were killed last year. They also murdered major Muhammed Kigundu and Arua Municipality Member of Parliament Col Ibrahim Abiriga in June this year. Chinese company Huawei was given the tender for the installation of these cameras with over 5,000 of them expected to be installed by the end of next year.